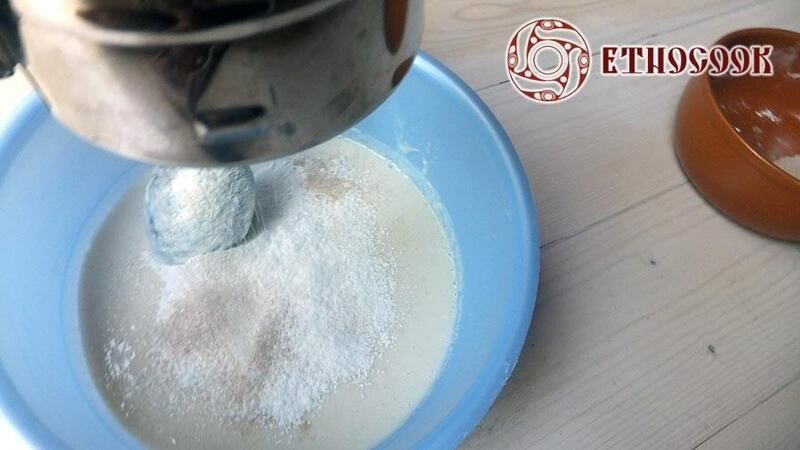 The technology how to make bread was well known to our ancestors. 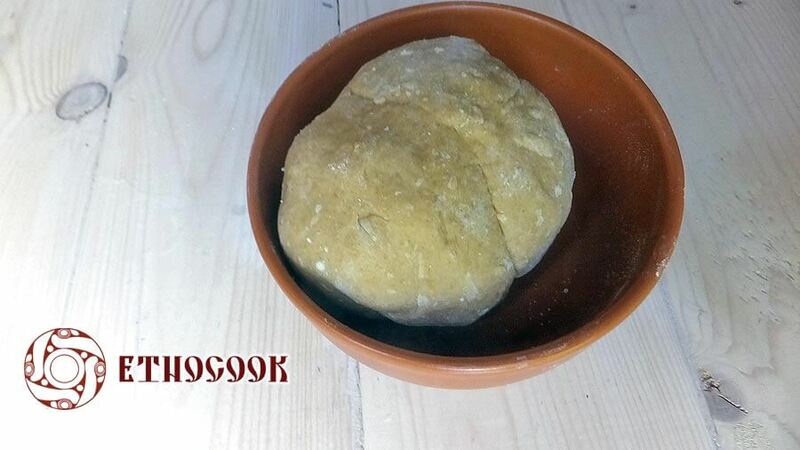 From ancient times Ukrainian people baked bread from a sour dough. 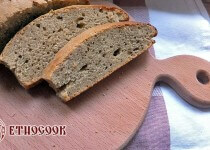 For everyday they used rye flour, and wheat flour was used on holidays. The whole process was a ritual full of mysterious magic. 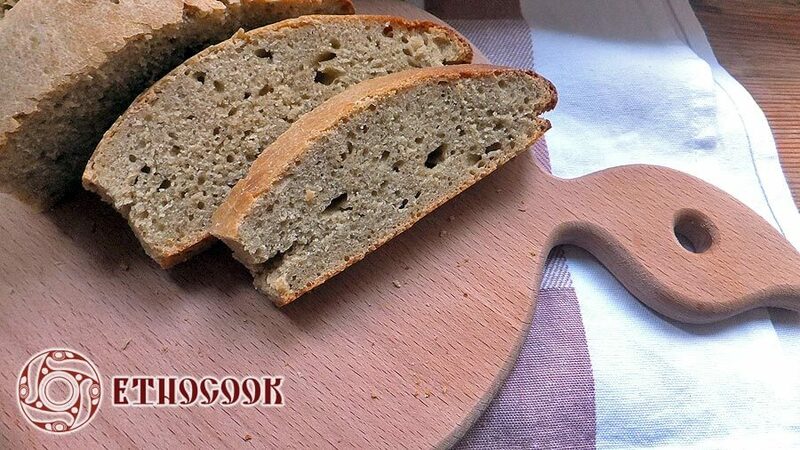 Bread followed every person through a lifetime and made an invisible connection to the Universe. It was the first present at birth, an initiation, for birthdays, weddings, holidays and funerals. 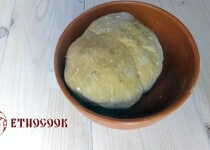 Bread has a variety of shapes and sizes, depending on the event and purpose: great – as gathered harvest, round – as the sun, elegant and artfully decorated -like symbol of the rich and happy married life. 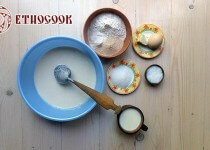 Traditionally bread is made from flour, dough starter and water and to make the taste especially better were added different ingredients such as milk and eggs. Also remember that if the baked bread cracked then it didn't stay enough time for the sourdough, if it raised and sunk on top - it stood too much. 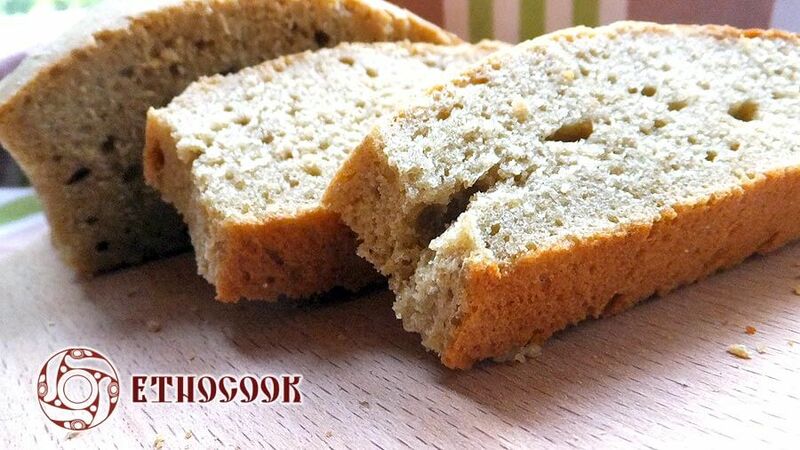 If the baked bread is ready is checked with the help of toothpick : to gently pierce the surface and push the toothpick into the bread when it is easy to come back - the bread is ready. 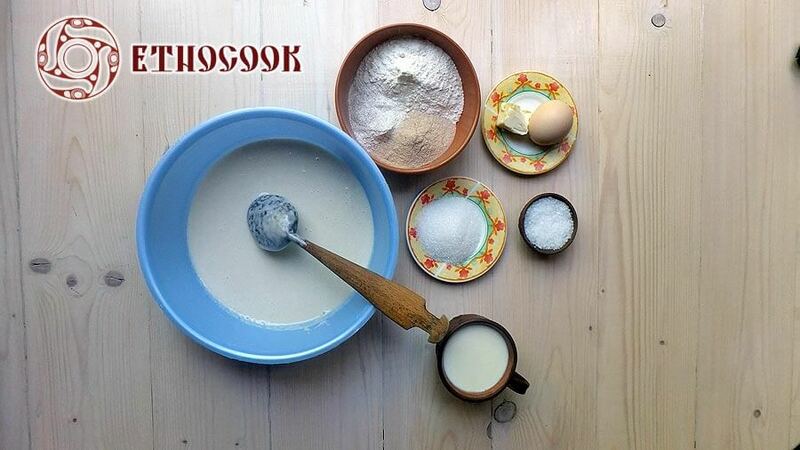 Prepare all the ingredients for the Ukrainian homemade bread. 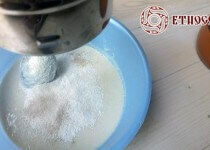 Sift all types of flour into one big bowl with a sourdough starter. 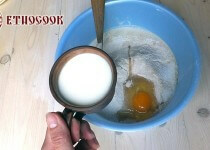 Add egg, melted butter (25 g), salt and sugar, slowly pour milk. 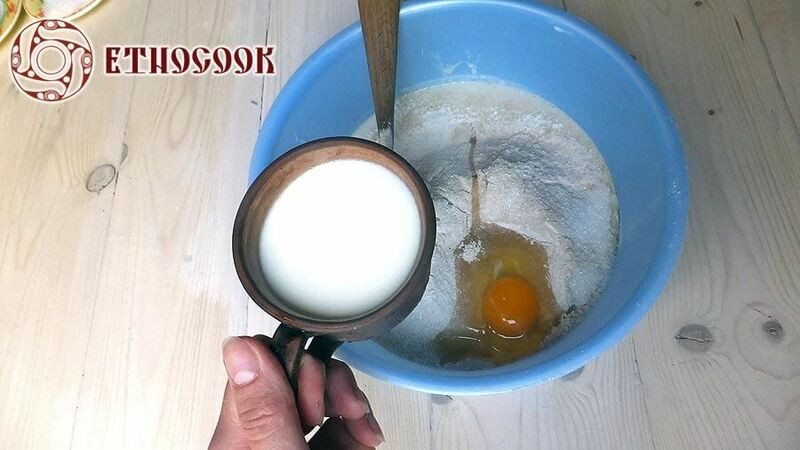 Mix all ingredients and knead the dough. 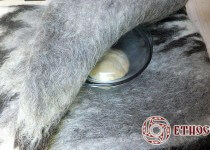 The dough put in a deep bowl, cover with a lid but make it a little bit open for dough "to breath". Put in a warm dark place for ~ 2 hours. 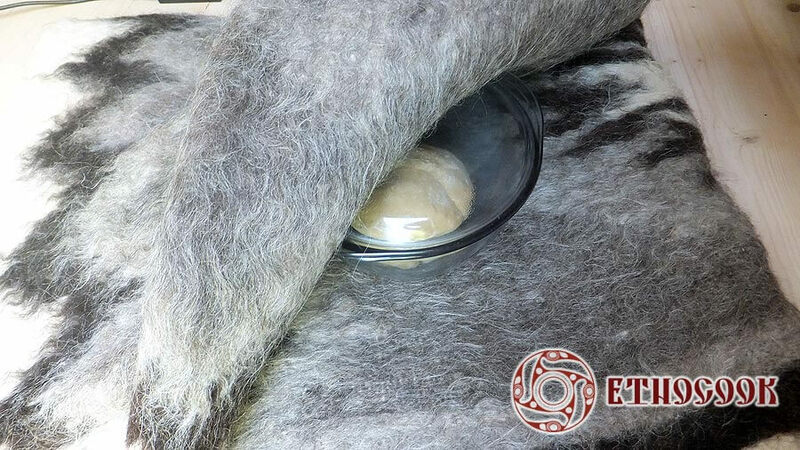 Then form a round loaf, put in greased form , cover with a towel and put in a warm place for another ~ 2-3 hours. Bake in a preheated 200C oven for 35-45 minutes. 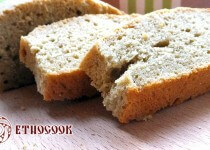 Let the bread cool before slicing and eating for an hour.